In my last post I mentioned about how I am a fan of immersive art experiences. Not necessarily the type which require you to do anything but instead those which you can see, touch, hear and feel. A 3D experience can move you in a way which looking at a piece of canvas may not and I think that increasingly people are demanding ‘something more’ from their artistic interactions of all sorts (the success of Secret Cinema springs to mind). I talked last time about the light shows at Light Night, which I enjoy because of their immersive nature – the combination of light, movement and sound offers exactly that ‘something more’ for the time you are in there, with it. One thing with these experiences, though, is that they are transient. A piece of canvas or a sculpture can last forever, but a show is only briefly in a particular place and time. That can make it hard to talk about unless you were there, which you probably weren’t. There are exceptions, though: I first heard of the Exploding Plastic Inevitable as a teenager, 40 years too late even then. But when thinking about being thrown into sensory experiences, my mind kept coming back to it. Which is odd seeing as it only seems to live on through advertising posters, academic papers, and a Youtube video. But since I first heard about it, I wanted to have been there. 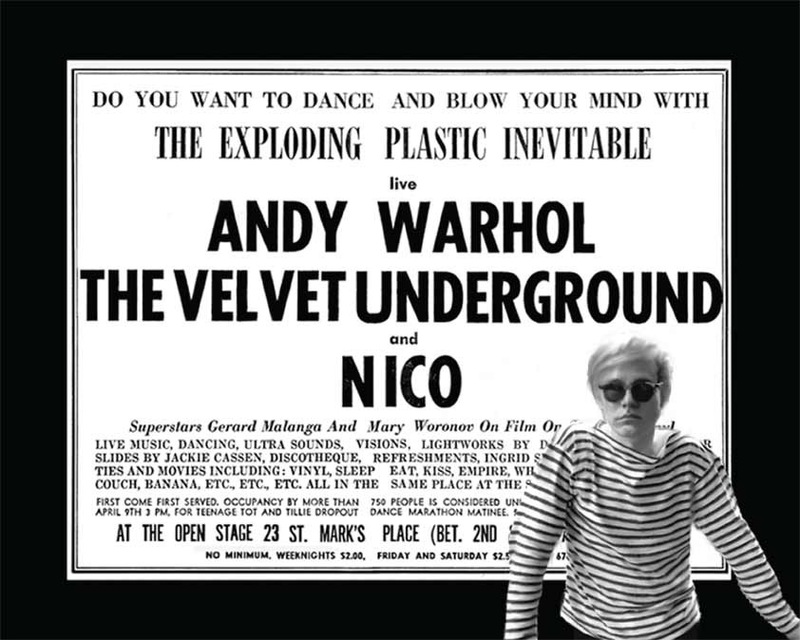 Credit: Ronald Nameth, Andy Warhol Exploding Plastic Inevitable with the Velvet Underground & Nico, Copyright 1967-2015, all rights reserved. …Even writing that, my brain can’t process what it must have been like. I have watched the video above a few times over the years and it gives some sense of documentary, but can’t possibly reflect the sense of being there. What does a bit more, I think, is a quote from contemporary critic Larry McCombs: “Your head tries to sort something out, make sense of something. The noise is getting to you. You want to scream, or throw yourself about with the dancers, something, anything!”. This was clearly a project which made you feel things. Exciting things. As the best art, as I hope I’m expressing in this series, does. I can’t say anymore about how I feel about it because, obviously, I wasn’t there. But even from a distance of 50 years, I like to think I can get some sense of its shock-to-the-system qualities. And it’ll continue to come to mind every time I see a multimedia art show, and something which uses technology to make you do more than just look. Because I don’t see how much art now would be the same without it. If you’re in Paris, Stockholm or Leon, Ronald Nameth’s record of this events is on show. Having had a previous taste of this in Liverpool, I would recommend checking this out. This entry was posted in Home, Let's Talk About It and tagged #Leon, #Paris, #Stockholm, #warhol, art, culture. Bookmark the permalink.